Donald Trump and the Republican Party won't need US Senate approval to destroy net neutrality in America. While Trump has signed a flurry of executive actions this week, the media have largely ignored Trump's appointment of Ajit Pai to chair the Federal Communications Commission. And because Pai is already a member of the FCC, he won't need Senate approval for his new position. Pai is a staunch opponent of FCC regulations. He recently spoke at the Free State Foundation about removing so-called "unnecessary" regulations, declaring that "We need to fire up the weed whacker and remove those rules that are holding back investment, innovation, and job creation." 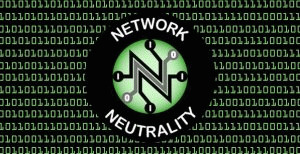 But net neutrality doesn't threaten freedom or hold back investment -- net neutrality keeps the Internet the way we've always known it: everyone's online content and services are treated the exact same way as anyone else's, no matter whether the creator is a tech-savvy amateur or a giant multinational like Microsoft. You're not hearing about this in the mainstream media in large part because MSNBC and CNN are owned by Comcast and Time Warner, two companies that stand to cash in big if net neutrality is destroyed. A reddit user named Quinky created a graphic several years ago showing how without net neutrality, a fictional service provider named Telco might offer a basic service for $29.95 a month, but that will only get a user access to very, very basic websites. Want to do a little research under Telco's plan? That'll cost you another $5 a month to use any search engines. Want to read USA Today? That's another $5 package for US news, and if you want to read the BBC? That'll be another $5 for foreign news. How about your favorite sports and cat videos on ESPN and YouTube? Guess what? That's another $10. Want to do some online shopping? It'll cost you $5 to even see what's in stock on Amazon or Ebay. If Americans are struggling to stay informed now, wait until people have to budget their hard earned money between reading the news, online shopping or watching YouTube. We used to live in a world where only the rich could afford to be informed before Benjamin Franklin established the Library Company in Philadelphia. Books were only available to the rich and wealthy. But Franklin's Library allowed anybody, regardless of class, access to information stored in books.